June 13 – 24, 2018. 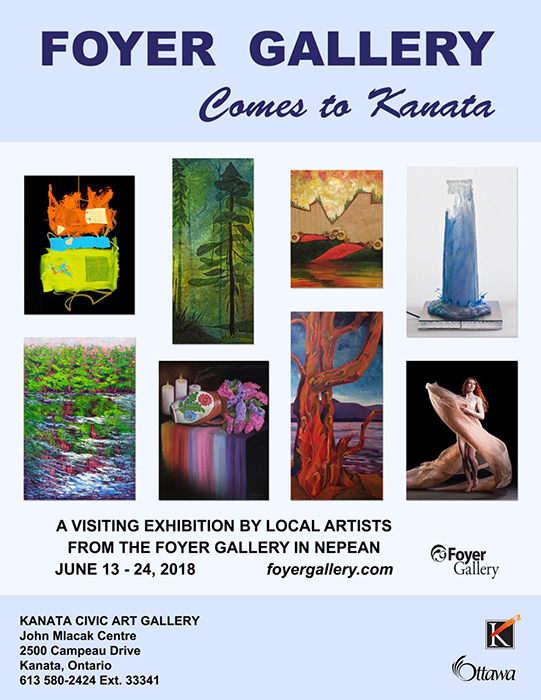 “Foyer Gallery comes to Kanata”, a show hosted by the Kanata Civic Art Gallery, features eight Foyer Gallery artists: Elisabeth Arbuckle, Margaret Chwialkowska, Sharon Collins, Eiko Emori, Erika Farkas, Susan Ragheb, Katrin Smith, and Roy Whiddon. 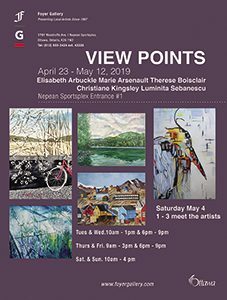 The Kanata Civic Art Gallery is located in the John Mlacak Centre at 2500 Campeau Drive, Kanata. Visit our show there starting June 13th! For gallery opening hours, visit the KCAG website.